the world that is Clintonville stroll by our front door. If the weather’s nice, we let our cats outside, too, to watch the birds, squirrels and bumble bees flutter around. We have four cats: Fionula, Seamus, Maeve, and Ciara. Got a Celtic thing going on with the names. That’s Maeve and Seamus in the picture. I know what you are thinking: four cats?! Yes, they are a handful, especially when you consider both Pete and I are allergic to the wee creatures. Pete knew he was allergic before we had cats, and I found out after four were already living in our house. Removing them was not an option! Fionula is the matriarch of the bunch, being 14 years old. She still holds her own against all the youngsters. Seamus and Maeve are both five years old. 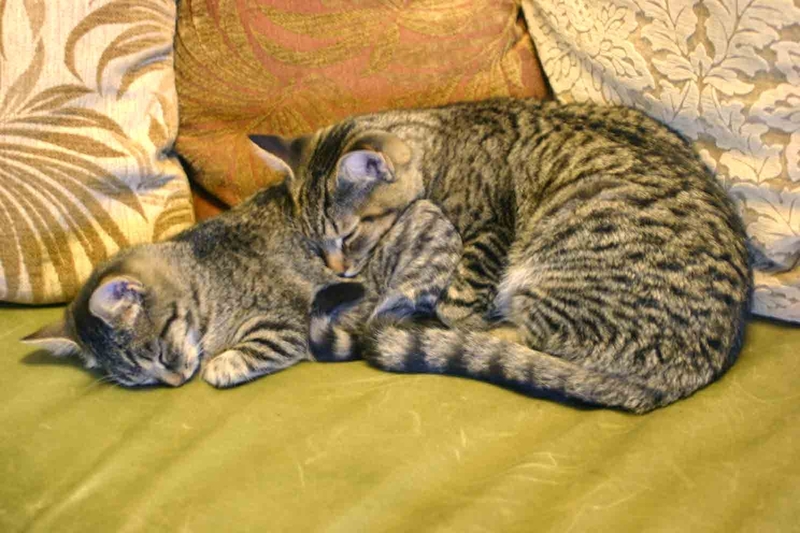 Seamus was rescued from my dad’s tree farm, and Maeve, another rescue, came to keep Seamus company. Finally, we have Ciara, who is three, whose previous home was the airport. All of them get along (for the most part – they have been known to hiss at one another on occasion!) and really enjoy being out on our porch as there are always things to see. Or not see, as often, finding a comfortable place to take a nap seems to be a top priority. For the most part, everyone stays on the porch as we don’t allow our cats to go anywhere else. I read a June 12, 2011 article in the Dispatch that indicated that as many as 1 billion birds are killed by feral and domestic cats each year. The article continued to say that some of the birds being killed were migratory birds who winter in South and Central America. These birds are facing loss of their natural habitat and are slowly losing numbers. 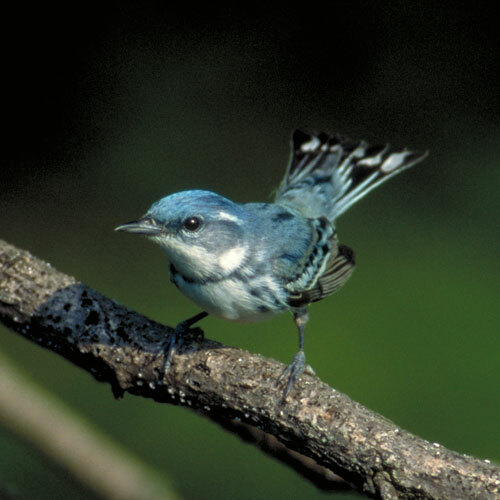 The same problem is happening here in Ohio, with habitat loss and fragmentation decreasing the numbers of certain birds such as the Cerulean Warbler, whose population has declined by over 80% in the last 40 years. This particular bird lives in deciduous forests, something that the arboretum in trying to increase. More trees will mean more birds.